The House votes to defund Attorney General Sessions' newly revived Equitable Sharing asset forfeiture program, Maine lawmakers want a 20% sales tax on weed, Duterte allies in the Philippines vote to defund the country's human rights commission over its critique of the drug war, and more. Maine Lawmakers Want to Double Pot Sales Tax. In a draft bill released Tuesday, the legislature's marijuana legalization committee is recommending a 20% sales tax on recreational marijuana. Earlier, the committee had supported a 10% excise tax and a 10% sales tax, but now it's going all sales tax. Arizona Supreme Court Refuses to Lift Restrictions on Medical Marijuana for PTSD. The state Supreme Court on Tuesday rejected without comment an argument from the Arizona Cannabis Nurses Association that the former state health director had illegally imposed restrictions on when doctors can recommend the drug for PTSD. The high court's decision leaves intact an earlier Court of Appeals ruling upholding the restrictions. Attorneys for the association say they may take the case to federal court on equal protection grounds. House Slaps Down Sessions' Move to Reinstate Equitable Sharing Program. In a surprise move, the House voted virtually unanimously Tuesday to curb federal asset forfeitures, a slap in the face to Attorney General Jeff Sessions. 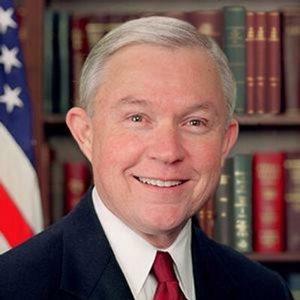 Sessions had reinstated a federal civil asset forfeiture program that allowed state and local law enforcement to evade state forfeiture restrictions by handing their cases over to the feds, with the feds then returning 80% of the money to the seizing agency. The move came in a voice vote on an amendment to the Justice Department appropriations bill, which was sponsored by strange bedfellows Reps. Justin Amash (R-MI), Mark Sanford (R-SC), Raúl Labrador (R-ID), Pramila Jayapal (D-WA), Ro Khanna (D-CA) and Don Beyer (D-VA). Feinstein, Grassley Fret Over Colombian Cocaine. The two senior senators, chair and co-chair of the Senate Caucus on International Narcotics Affairs, expressed worries Tuesday that a peace deal between Colombia and the leftist rebels of the FARC had led to a surge of cocaine being imported into the US. Feinstein also used the Senate hearing to express concern that the Trump administration will not adequately fund interdiction law enforcement efforts. Philippine Congress Budgets Measly $20 to Fund Human Rights Commission. No, that's not a typo, and no, we didn't forget some zeroes. Lawmakers allied with President Rodrigo Duterte voted Tuesday to allocate just 1,000 pesos (USD $20) for the Commission on Human Rights, which has repeatedly criticized Duterte's bloody drug war, which has left thousands dead at the hands of police and vigilantes. The funding move was explicit retaliation for the commission's criticism of the human rights disaster. In a Facebook post responding to the move, UN Special Rapporteur on extrajudicial killings Agnes Callamard said Filipinos deserved an independent organization that could hold the government accountable for its misdeeds. "Instead they are getting a 'war on drugs' which, by the president's own account, has failed to curtail addiction rates, while creating a climate of fear and insecurity, feeding impunity, and undermining the constitutional fabrics of the country," she wrote. "If the Philippines Congress is looking for public money being wasted, damaging and hurting the Philippines society, this is it."